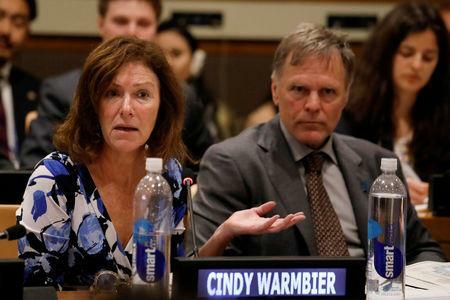 WASHINGTON (Reuters) - The parents of Otto Warmbier, an American student who died after 17 months a North Korean prison, blamed Kim Jong Un's "evil regime" on Friday after U.S. President Donald Trump said he believed the leader's claim not to have known how their son was treated. Warmbier's parents said they held off commenting during the second summit between Trump and Kim in Hanoi, which was cut short on Thursday after the two sides failed to reach a deal for the reclusive communist nation to give up its nuclear weapons. 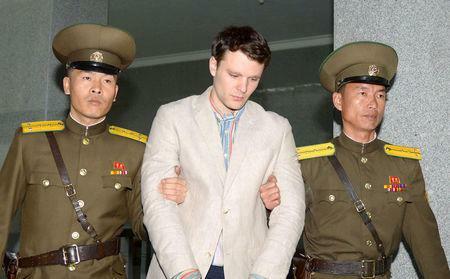 Trump drew criticism after he praised Kim's leadership and said he accepted Kim's assertion that he had not been aware of how Warmbier was treated while in detention. It wasn't the first time Trump has faced criticism for appearing to side with autocratic leaders. He gave Saudi Crown Prince Mohammed bin Salman the benefit of the doubt after the killing of Washington Post columnist Jamal Khashoggi last year. In July, Trump refused to blame Russian President Vladimir Putin for interfering in U.S. election. "The president agrees with the Warmbier family and holds North Korea responsible for Otto Warmbier's death," Trump adviser Kellyanne Conway told Fox News. 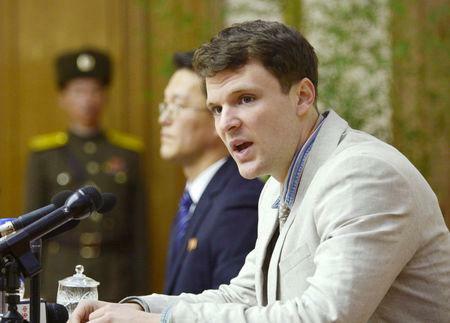 "What he said was that Chairman Kim says, what he believes Chairman Kim to have said, was that he was not aware of what had happened to Otto Warmbier when it happened."